Viacom's six independent directors are vowing to contest any attempt to oust them, arguing that overthrowing the board would be "inconsistent" with Sumner Redstone's wishes. The next move is Redstone's to make. 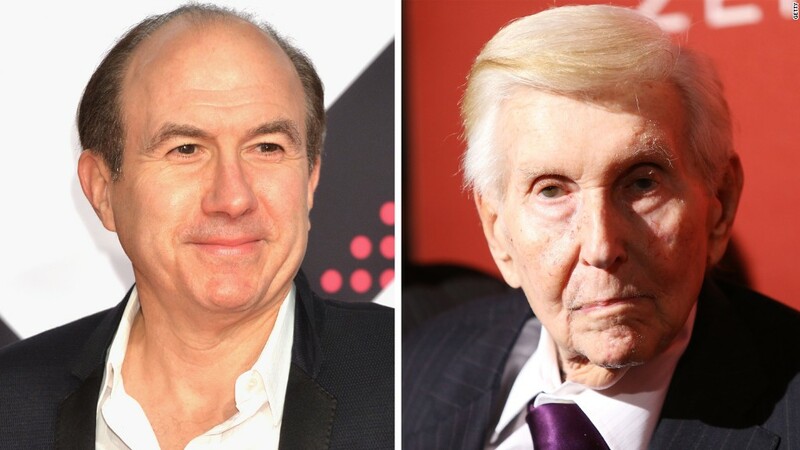 Redstone, 93, the controlling shareholder of Viacom, and his daughter Shari are reportedly considering replacing the directors amid a drastic shakeup at the media company. But the directors say they won't leave without a fight. In a letter Monday, they said they're prepared to go to court for a "judicial determination of the legality of any removal attempt." At issue is whether Redstone is mentally competent to make these looming changes. The media mogul has been in poor health for years, and some observers believe Shari is really behind the shakeup. She has denied it. Viacom's CEO, Philippe Dauman, and another board member, George Abrams, have already sued to challenge Redstone's purported decision to remove them from his trust. The trust will control Viacom (VIA) and Redstone's other media company, CBS (CBS), after he dies. Removing Dauman and the other board members could come next. CNBC reported on Friday that such a move could be imminent. Monday's letter was a response to the speculation. It was written by Frederic Salerno, the board's lead independent director, on behalf of the other five. It was addressed to "all Viacom's constituencies" and distributed by the Viacom corporate communications department. The letter strongly suggested that the directors do not believe Sumner Redstone is really behind the recent chain of events. Regarding the possible removal of directors, Salerno wrote, "We know that such an attempt, on its face, would be completely inconsistent with Sumner's lifetime commitment to an independent board and professional management for Viacom after his incapacity or death. More specifically, it would be equally inconsistent with his stated judgment for many years that his daughter, Shari, should not control Viacom or his other companies." Sumner and Shari Redstone were estranged for years, but they are now back in each other's lives. After Dauman and Abrams were apparently booted from the trust, Viacom charged that Shari has isolated her father and placed "his residence on lockdown." Representatives for the Redstones have refuted that. But Salerno repeated the allegation on Monday. "For several weeks, I and the Chair of the Governance and Nominating Committee, Bill Schwartz, have tried to meet face-to-face with Sumner, but with no success to date," his letter said. Representatives for Sumner and Shari Redstone did not immediately respond to requests for comment on Monday. On Friday, after the CNBC report, a spokesman for Sumner said he would "make every decision with the same deliberation and consideration with which he removed Phillippe Dauman and George Abrams as trustees, based on the best interests of shareholders." The independent directors invoked their responsibilities to shareholders in Monday's letter. "We will contest the purported removal if it comes, because we see that as our responsibility to the non-control shareholders of Viacom who own 90% of the equity of the company -- and to the legacy of a man we greatly admire and consider a dear friend," Salerno wrote. Salerno also addressed ongoing concern about the state of the beleaguered company, which owns MTV, Comedy Central, BET, Nickelodeon, Paramount and a range of other television channels and movie assets. "The board is not happy with where Viacom's performance stands," Salerno wrote. "We know Viacom needs to do better -- and we are very focused on that objective and on the need for management to drive it." He reiterated the board's support for a possible sale of a minority stake in Paramount, even though a spokesman for Sumner Redstone recently said that he opposes such a sale. "We hope that the fight over control does not impair or completely undermine this potential step with Paramount," Salerno wrote. "We also understand that if Sumner is found competent and acting without undue influence, we may be legally removed simply for having explored strategic options that might include a minority investment in Paramount. That said, our job is to try to do our job, not to try to keep our job. That is all we can promise -- and we do promise it."